Olympic boxing silver medallist Fred Evans has been arrested and charged with two counts of assault in Birmingham, police have confirmed. West Midlands Police said a 23-year-old man from Old St Mellons in Cardiff was arrested on 23 February in the city. He was charged the same day and was bailed to appear before Birmingham magistrates for an initial hearing. 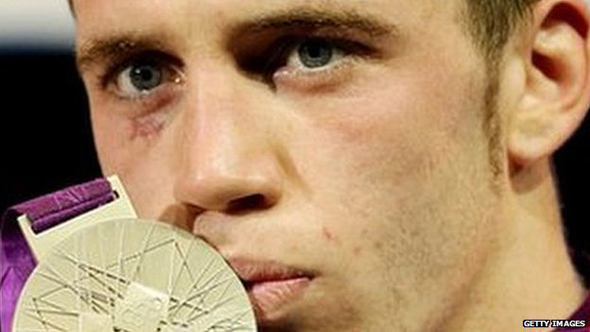 Evans made history at London 2012 by winning Wales' first boxing medal since 1972. He lost the gold medal welterweight bout at the Games to Kazakhstan's Serik Sapiyev in a 17-9 defeat.